Kuwait City, Kuwait (March 13, 2019) – ‘TooMooH’ which translates as ‘Ambition’ is a comprehensive, four tier, national development programme focusing on the career advancement of fresh graduates, executives and leaders was launched today in Kuwait by Millennium Hotels and Resorts, MEA. The programme aims to integrate GCC nationals into the booming hospitality sector and boost their presence in the job market. The internship development programme was recently launched in Saudi Arabia, Oman and UAE. A press conference was held at Millennium Hotel & Convention Center to officially kick off the programme in the country. 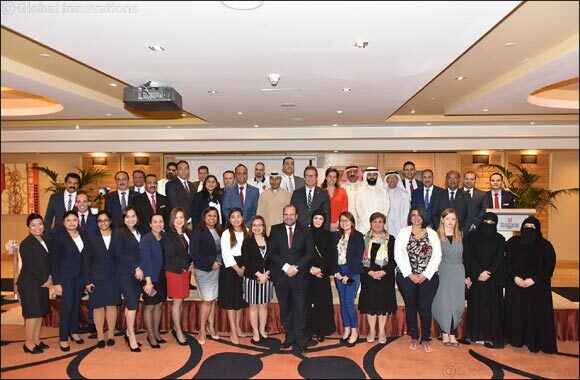 Officials from Millennium Hotel & Convention Center, Copthorne Kuwait City, Al Jahra Copthorne Hotel & Resort, Millennium Hotels and Resorts MEA, government officials and the media attended the presentation. According to Alpen Capital’s latest report on GCC Hospitality Industry 2018, Kuwait’s hospitality market is expected to grow at a CAGR of 6.1% (2017-2022) to USD 0.4 bn by 2022. International tourist visits are expected to grow at a 5-year CAGR of 4.4% to 0.5 million whereas the hotel supply is expected to grow at a 5-year CAGR of 4.4% to approximately 10,112 hotel rooms. Kuwait aims to attract 440,000 visitors by 2024 along with earmarking USD 1 billion to promote the country during that period. The Government is actively diversifying from the oil-based economy and making substantial investments in the hospitality and tourism sector to boost its economy. A number of projects are expected to share the multi-billion dollar development budget such as the expansion of Kuwait International Airport which is expected to reach a handling capacity of 25 million passengers annually by 2025 along with Madinat Al Hareer and Silk City and Sheikh Saad Al-Abdullah Islamic Centre. As part of the initiative, the hotels in Kuwait will partner with the Labour Office and the Ministry of Commerce to spread the message about the programme. All trainees will receive comprehensive hands-on training in different aspects of the hospitality business so that they can join the industry, build a career and take up leadership roles. “The TooMooh initiative reflects the vision of Millennium Hotels & Resorts MEA to have an active role in the inclusion and development of GCC nationals in the region’s flourishing hospitality industry. With proper training, grooming and mentoring of local talents, we could change the landscape and help create more jobs for Kuwaiti nationals and help them become leaders of the tourism industry,” said Alaa Salim, General Manager, Copthorne Kuwait City. At Millennium Hotels & Resorts, MEA, we welcome all our national colleagues to be a part of this programme and work towards their professional career progression.